In preparation for my trip, I've begun to put together my shopping list of curriculum MUST HAVES for the coming school year. Like most mommas, I have a pre-determined idea of the subjects I would like to cover and even the curriculums I would like to use to cover them. But, for most other concepts, there is no hard and fast rule that says we HAVE to learn (fill in the blank) next year. Subjects like Bible, science, life skills, art, world cultures, and many others non-core/elective type branches of study can be taught based on the natural interests and curiosities of the learners. My children are all so very different. They were each fashioned by the Creator with unique interests and talents. But, since many parts of our day are centered around cooperative learning, they all get the benefit of encouraging and participating in each other's passions. 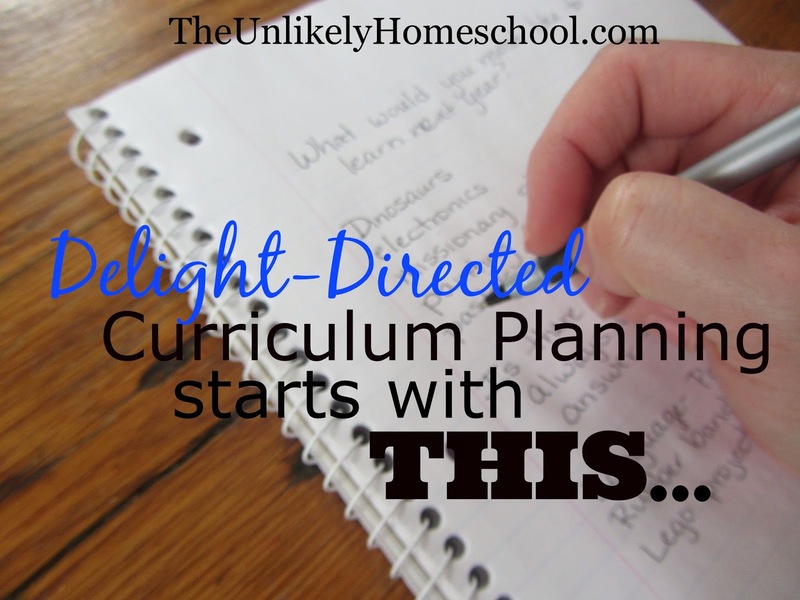 For the past couple of years, I've continued to devise a well-ordered curriculum shopping plan, but only AFTER I've included my children in it. I sit them all down together. I pose a few key questions to get the ideas flowing. I jot down all of their curiosities...all of their I've-always-wanted-to-knows. And smile. Because we've been doing this for a few years, they know that it is not possible nor probable that we will be able to cram all of their wants and wishes of learning into one year. But, they know I've not just HEARD them, I've listened to them and that to the best of my ability, I will design a course of study that has THEM and THEIR DELIGHTS in mind. Last year, my oldest son had the urge to learn chemistry. And although I was kicking and screaming on the inside when I plunked down the $165 for an all-in-one elementary chemistry curriculum, I was smiling on the outside. And so was he. I had invested in his passions and had given him a voice in his own education. And you know what? We are all LOVING chemistry. Who knew that cracking the code to the periodic table of elements could be so fun? So this year, as you are making YOUR BIG PLANS for curriculum, I'd challenge you to consult the ones who have the greatest interest at stake...your kids. Here are a few questions to help jumpstart the brainstorming? What have you liked learning about most this year? Was there something that we learned that you'd like to learn more about? Is there a question that you've always wanted to know the answer to? What was your favorite project that we made/created this year? What would you like to learn about in (insert subject name) this year? I homeschooled our older son through graduation, very text book style, he was easy. My 1st grader, not so easy;) I am also in the planning stage for next year. Delight directed learning, I am definitely going to think about that for some areas! He is gifted, very strong willed, and doesn't like text/workbook learning. Delight directed learning is encouraging, maybe restart his passion for learning again?? Thank you Jamie for a wonderful post, they are always thought provoking for me! Sometimes relinquishing a little of the control greatly helps to curb resistance. Some kids are much more eager to learn, when they have a "say" in what is being covered. Thank you for the encouragement! I'm glad my words have been helpful. This is one of the things I love about homeschooling - the flexibility to allow for some delight-directed study. Yes, we follow a schedule and a curriculum, but we also allow for some freedom within that construct. I am definitely going to pose these questions to my kids as we talk about planning for next year. It is the way I wish I could have learned, and I know they enjoy knowing that they have a voice in their education as well. It sounds like we are very similar. I find safety in a plan, but I can be purposeful to include my kids and their opinions in my plan. Kuddos to you! This is great. I consider us to be unschoolers, but more John Holt unschoolers than today'd definition. My daughter and I worked together for her 10th grade curriculum next year, and we have successfully pieced together a Sherlock curriculum- yes, based on the show. My son who will be entering 9th grade will be taking Minecraft homeschool classes, and the rest of my kids who are middle school age and younger will use the library as their primary book resources. Thankfully, we're within walking distance, so that's not a problem. Sherlock curriculum? Sounds exciting! Sherlock Holmes books were my husband's favorites growing up. He would've loved something like that. We are close to our library as well. Not walking distance, but certainly biking distance. What a blessing! I have homeschooled now for 14 and half years with two graduated and one left in the fold, 15 yo. She has been my easiest student by far but almost too easy and we are both getting bogged down with our typical approach to learning and have lost the delight in it. 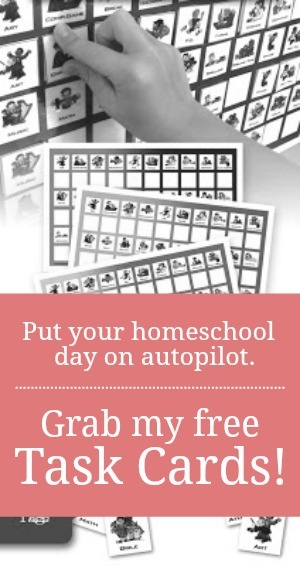 This actually has made what could be the easiest and most enjoyable years of homeschooling the most tooth pulling time yet. I am hoping that this time we are researching together inspires us to enjoy our time together learning better. I hope it does too! Good luck to you. what time have you found to be a great start in your school day? 7:00 am with school or later?